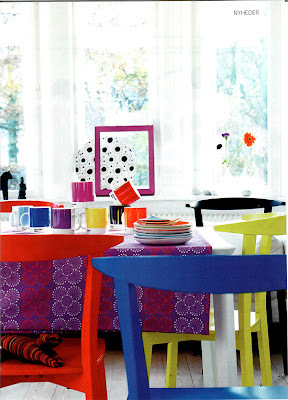 styling ideas from nonchalant mom! we sent out an emailer last week with much fan-fare... I received so many emails about how much fun you'all thought it was that I thought we would add a little bit of a post on some mixing and matching of collections and nonchalant mom styling! just for fun, this is kit+lili clover printed long sleeve t-shirt, nonchalant kids organic fleece jumper and kice kice knit pants...easy fun and jump over a fence cute! cutie skirt from rosenberg, nonchalant kids 'waves' t-shirt and makie fleece and tech vest...cool, warm and ready for action! nonchalant kids 'checks' t-shirt, 1969 vest and favorite pants topped off with a makie fleece and tech jacket -- just in case your kids need to look, cool, warm and all pulled together! this little beauty is for when you want to look all put together, cozy and warm in makie baby! have some fun! and look good at the same time ...that's all I'm asking! The human body is a precise balance and a very very delicate machine. Of course, we abuse it almost from the start, not realizing until later that we have taken it for granted. An anonymous comment from one of our readers concerning the blog on HFCS asked if cane sugar might be OK. As well, the reader commented that there was perhaps something added to the HFCS that created something in our bodies that led us to never be fully satiated - leading to larger and larger quantities. Unless somebody can prove differently, I can only tell you that it is the 'sugar' that creates this habit of wanting more. It is psychological. Like any harmful drug that feels or tastes good - you want more and more. 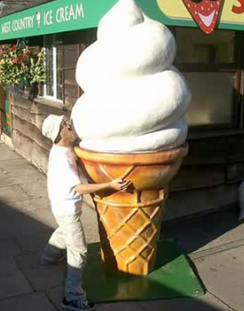 If a manufacturer creates a larger size, then the average consumer might assume that this OK - and it is not! 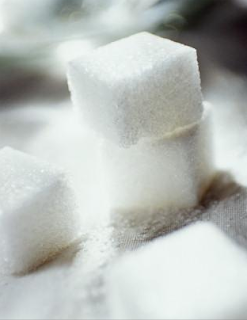 As for Cane Sugar, the question is not that it is bad for you - but is it necessarily good? Well, the answer is that it is not good for you, but neither is it like a potent drug either - unless you consume it frequently and in large doses. I suggest doing without it if you can.... but who can these days? So, it might be worth noting that humans really need sugar as much as they might need the nicotine in cigarettes. The information is confusing though - primarily because there's much money riding on its consumption .... typical! Glucose: a naturally occurring sugar found commonly in our fruits and vegetables. It is a key material in the metabolism of all plants and animals. Many of the foods we consume are converted into glucose in our bodies. It is always present in our blood streams (hence the term blood-sugar). When we hear about sugar we are usually confused (sometimes on purpose) between the naturally occurring and the synthetic - between the glucose (naturally occurring) and the sucrose (the synthetic). We mentioned the content of glucose in the blog on HFCS - so we won't go into here. As well, you need to beware of any time a manufacturer boasts that something is 'made FROM natural ingredients' especially if the label is not also telling you that there are no additives, etc. We say this because even REFINED sugar is made FROM natural ingredients. 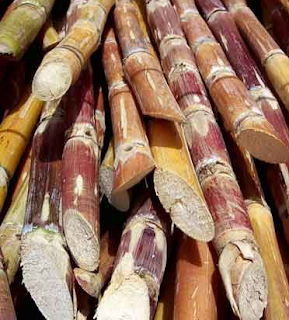 Pure cane sugar (especially the organic) is a natural source of sweetener when it is considered in its purest form - in the cane. It does contain some natural sources of vitamins and minerals. But, generally it is still a sugar and it's benefits are limited. When we talk about refined sugars (the white or brown stuff) we are usually talking about something far less beneficial - something that can even be considered 'naked' , or a more exact word: 'empty'. Refined sugar is especially degenerative because in refinement it has been depleted of its natural life forces, vitamins, and minerals. What is left after refinement, even in brown sugar, is a product that contains pure, refined carbohydrates. The body naturally does not really need this product because the refined starch and carbos in it are without any natural proteins, vitamins, or minerals, and, as such, it does nothing for you in the longer term. Nature normally supplies these elements in the original source (the cane in this case) sufficient only to metabolize the carbo in that particular plant. act in the reverse - draining the body of its natural and precious vitamins and minerals through the demand its digestion, detoxification, and elimination makes on the entire system. The body REACTS to the sugar rather than harmonizes with it. It throws off the bodies natural balance. This means that the body mobilizes its minerals (such as sodium, potassium, and magnesium, and calcium) in defense. The body generally produces neutral acids to return the bodies blood supply to a normal balance of acid-alkaline. This requires the body to use energy and, of course, then depletes it! 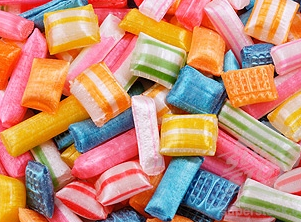 At its worst sugar consumption can lead to the depletion of calcium (from your teeth and bones). From there, if sugar is taken in continually, it can affect the liver, which initially stores the excess in the form of glucose. The liver, when its had enough, will then return the overflow to the blood system which then deposits the fatty acids to the most inactive parts of the body like the tummy, the breasts, the thighs, and the buttox!!! Eventually, if this continues, then even those parts of the body start to distribute it to other parts - which leads to the active organs like the heart and kidneys. Over time, the by-product of the sugar degenerates the tissues of these organs into fat! It isn't long before the body starts to act abnormally and is weakened. A weak central core affects all the correlating entities - and then you've got problems! The body becomes weak, destabilized, and vulnerable to illness and disease. And, then there is the brain. Gradually depleted of its natural vitamins you become sleepy - the normal functioning is altered. For most, if not all, people the ingestion of sugar won't kill you outright. It is more that the body is, over time, weakened by it. It is not a pretty picture, even if it looks sweet in the short term. Sugar, as a product and an industry, is a very big subject to tackle and in this article we can only touch much of the surface. It is hard to escape and harder still to do completely without. But, if you really are concerned, then you should at least consider cutting the consumption levels down - especially for your kids. There are many arguments now for the adverse effects that sugar can have on our children - some might even seem radical. But, to us here at Nonchalant Mom, the links are becoming more and more sound. Sugar, especially refined sugar, has NO natural benefits to us humans.... even if it makes things seem to taste better! We strongly recommend reading William Dufty's (in)famous book called 'Sugar Blues'. At Nonchalant Mom we strongly believe that at some point in the future sugar will be considered in the same light as cigarette smoking is now..... and that's no joke! oh, what to do on a friday night? Many of you are going to wonder if we are the most boring family in the universe, but in some endearing way I really like our friday nights. We have just a couple of weekly traditions in our family, sunday brunch and then beavertail (Jamestown, RI) for some jumping on the rocks... and then friday night grocery shopping! We make it an event by piling everyone into the car, picking a universally fun place to eat and then topping it all of with grocery shopping. The good thing is that on any given friday night the grocery store is usually empty so we tend to kind of take over the place, two carts (ok, sometimes we are kind of loud) one cart is the entertainment cart and the other fills the weeks shopping. This simple fun, handles a weekly chore but gets everyone involved. I would say that the only pitfall is you usually come home with a few weird items, but I think it is sometimes fun for the kids to try what they pick out by themselves (I can assure you we don't let them go wild and pick just 'anything') and if you are already at Whole Foods or something like this there is usually not much damage that can be done. I like to find the fun in a simple thing like this, I think that we can get stuck in doing big events all the time with our kids, like movies, shows, and museums. I just think that for kids, they don't really care as long as everyone is doing something together and it doesn't always need to be a costly spectacle, and most of the time it's the most simple things that they find the best. We try to put the same kind of family fun into raking leaves and household chores but somehow the kids don't really last that long. One more nice thing about Grocery Night is that at the end of the night you usually have two totally pooped out kids sleeping in the back seat of the car! So, following up as promised, we want to start looking at alternatives to the refined sweeteners that we and our kids have become increasingly accustomed to as consumers. Amasake is a good place to start - amasake is probably the least sweet of all of the refined substitutions that we offered but I think that it's really the best! (the above photo is from my friend...I have been waiting for place to use it, although she is not making amasake, I thought it illustrated the idea of cooking the rice). Amasake is utilized as a replacement for sweeteners such as evaporated cane sugar or even honey, or instead of any refined sweeteners. Basically, Amasake is a sweetener made from brown rice, sweet brown rice, and koji rice. During a fermentation process where Koji is sprinkled into the mix the cooked rice produces enzymes that break down carbohydrates into unrefined sugars like maltose and glucose. 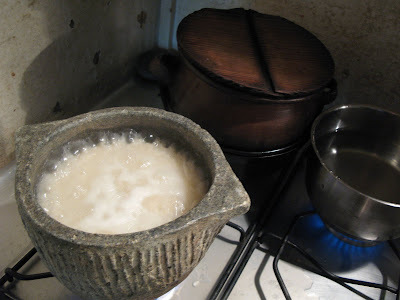 The rice is then left to ferment and sweeten. This culture is then reintroduced to more cooked rice and water where it is heated at a constant temperature for anywhere from 8 - 24 hours. As far as nutrition, Amasake contains all of the nutritional benefits of whole grain brown rice, including fiber, cellulose, and most of the essential amino acids used to create complete protein. Of course, the process doesn't sound exciting, but when you compare it to the manufacture of HFCS ... well.... it starts to sound much more appetizing and much more natural! Amasake (which means 'sweet sake' - there is also a version that can produce some alcohol in the formula, but we are not focusing on that here) ends up with a varied texture and thickness, but most people associate it with having the consistency of yogurt. 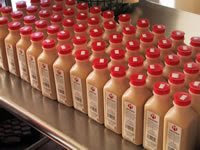 It can be used as a snack, a drink, to sweeten baby food, and salad dressing, etc. As well, it can be used as a sweetener in some cooking and baking. Some people even refer to it as Rice Milk because of its mild sweetness, but it is not really the same thing. On average Amasake is about 20% glucose. Though it is more common in Japan it can be found here - usually as a drink product and, once again, The Bridge makes the best amasake I have ever tasted! you can visit their website here, and I will 'borrow' their recipe for Amasake creme brulee because it sounds delicious, but you can use Amasake for sweetening just about any baking recipe. When I was on a specific macrobiotic diet to heal myself of a good variety of things I was not supposed to have ANY sugar, this included apples and most fruits...eek! (it was not easy!) but I COULD have Amasake, I feel that this is a testament to how mild a sweetener Amasake really is, and the taste (especially from The Bridge) is delicious! it can make a good stand-in for yogurt if you have given up dairy. Kids may not take to it a first but if you continue to introduce it to them slowly and not make a big deal of it, or if they see you enjoying it, it can soon just become part of their snack or treat. I am sure that many of you use Amasake for treats and I would love it if we can start to share recipes on these different sweeteners, especially snacks for kids! There is something about taking the time for yourself and reading a good book, I think it's important to...well, your sanity! Not to be mean or anything but when was the last time you read a book that was just for you? ...hhhmmm can you even remember! I certainly couldn't, but then I started to read "Girls Like Us" (by Sheila Weller) and all I want to do is read this book! (and yes, I'm still reading it and I started this summer, but at least I'm trying..but I'm loving it all the way!) Girls Like Us an inspiring read and with all that is going on today with womens rights, you get a snapshot of what it was like when women were just starting to exercise those same rights (and in some cases didn't have those same rights) ...not always pretty, but these strong and talented women each handled it in their own way. You will learn so much about each of their music; Joni Mitchell, Carole King, and Carly Simon and what their music meant to them. But even more, you will learn about their choices and the very different (but somehow the same) issues that they faced and took on with tremendous strength and pride. The book has taught me that there are always so many unique obstacles placed in front of each of our lives, but if you keep your eyes on the prize and your goals firm you can quietly dominate or as in the case of Carole King, just "take the bull by the horns" and go after your life. This is a very poignant book and I promise you will not want to put it down. 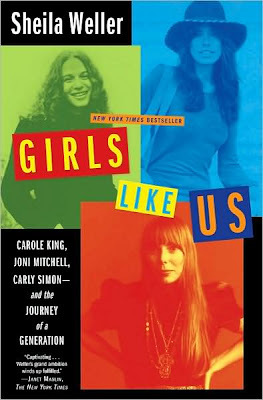 I ran into women on the beach reading "Girls Like Us" this summer and we were instantly friends, just gushing about how much we loved the book, and didn't want it to end. You can visit the website here to get more information if you don't want to take my word for it...but this time, really you should! Put down those baby books and pick this one up for YOURSELF...I promise you will thank me! Before Halloween fades quickly into all the other activities the season has in store we wanted to share with you some more of our readers home made costumes. From Texas we have two very fun and different costumes: For Willa's first Halloween her parents wanted to come up with an idea that was unique. They also wanted something that was girlish without being the standard. For the little babushka's outfit they created a simple a-line dress and a couple of small dolls out of muslin - painting all by hand! Under it all was a white onesie with leggings. 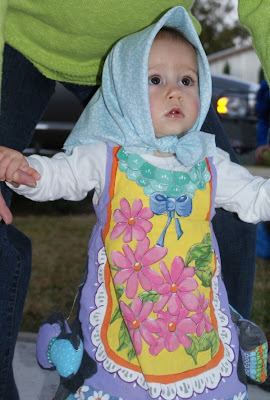 Of course the little babushka wouldn't be complete without a hankerchief over her head and a little rouge on the cheeks. She looks so sweet and adorable! And, the attention to detail is fantastic - we hope they keep it as a collectors item and keepsake. 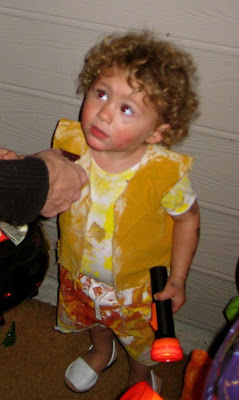 And how about 18 month old Teo in Houston - dressed as El Sol !! We are told that Mom cut a pair of simple white pants while Dad cut and sewed a piece of canvas to create the vest. Teo and Dad then painted the outfit to reflect the colors of light. And those natural curls really make him look like a Sun God! A family friend gave Teo the orange flashlight to round out the theme. We're sure Teo LOVED that!! His mother tells us that he illuminated his face and screamed "uz" - as in luz. A most memorable Halloween! We're sure that lurking somewhere in your home, or at your kid's school, or on your street - and definitely in most supermarkets in the USA - is a product containing that pesky little sweetener called High Fructose Corn Sweetener. These days, given the amount of product either sweetened with it or preserved by it, it is hard to escape it. And, with the trick or treating just passed now, and with the kids little candies spread out on the kitchen table, it reminds us here at Nonchalant Mom that we wanted to address this issue. The American Medical Association concluded recently that HFCS does not appear to contribute to obesity more than other caloric sweeteners. And the US Food and Drug Administration deemed HFCS as 'generally recognized as safe' for use in food, reaffirming its opinion from 1996. And, no doubt, if you were watching television in the past few months you saw one of two ads produced by the Corn Refiners Association in which they suggest that HFCS is generally safe in moderation and that it is derived from corn. What the heck does all this mean for us, the consumer? Well, it is a murky tale of word usage and misleading comments. Sure, HFCS is derived from corn. Sure, HFCS is not any worse for you than your average highly processed table sugar. Sure, HFCS can not alone be linked to the rise in number of cases of diabetes, obesity, and cardiovascular disease. And, sure, HFCS is not comparable to drug usage - nor is it necessarily an evil. But, isn't that what they said once upon a time about alcohol and smoking? HFCS is in everything, everywhere, all the time now. And, is it good for you. Well, in our opinion here at Nonchalant Mom: NO, it is not good for you. Basically, it works like this: Somewhere around the beginning of the 70's junk food, processed foods, and fast food starting expanding in popularity by leaps and bounds. 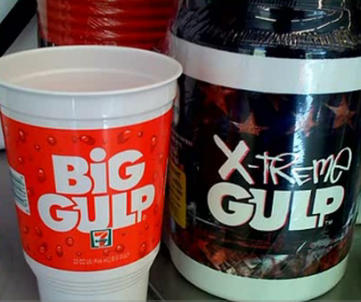 You only have to look at the evolution of the simple soda pop container, starting with the 6oz size bottle in the 40's and 50's right up through the 8oz, 120z, and now massive Big Gulp sizes to see clearly that we are taking in more and more of this stuff every day. Unless you are religious about studying your ingredient labels on many products you consume, you will be surprised to find that it is included in many many ways, in many many products now! HFCS is not to be taken lightly. How did HFCS generally begin replacing Sugar in the average American diet? Well, it was cheaper to produce for one thing. And, it could help in the preservation of food much more than mere sugar can. According to the same people that produce the stuff one of its benefits is that it 'keeps food fresh, enhances fruit and spice flavors, retains moisture in bran cereals, helps keep breakfast and energy bars moist, maintains consistent flavors in beverages and keeps ingredients evenly dispersed in condiments'... ooohh how YUMMY! In June of 2002 the present Administration (this will come as no surprise to many of you!) signed a $190 Billion farm subsidy program to span 10 years. This program would be used to encourage US farmers to grow more corn. But, producing corn can be expensive for the farmer, so with the subsidy the US tax payer would help foot part of the cost of producing corn. This encouraged more corn growing, including more genetically modified corn growing (that's another story), and thus produced a larger supply of corn, and the corn product like HFCS, to the manufacturers of all things made with it. Your Tax Dollars at work! However, though HFCS is made from corn, it does not make it a natural substance. HFCS, in order for it to be referred to as a natural substance, like the basic sugars inherent in fruits and vegetables directly at the source, it would have to be naturally occurring in nature. But, HFCS is not naturally occurring - and this is the misleading part. HFCS is a refined product - a highly refined product... and we don't mean a naturally occurring refinement like what bees do with honey. HFCS is chemically refined! Yes, on the good side, it is less refined than pure chemical additives (yet another story!) but it is still refined - and this makes it technically an artificial substance. So, when you see the one person stuttering and unable to answer why HFCS is bad for you in the commercials and the other person proudly and confidently answering for them that the product is made from corn - this is NOT really true. It is a refined product produced from corn. HFCS is different than Fructose Corn Syrup. The process extracts the natural occurring glucose from the corn and adds a chemical in refinement to bring it back to an even higher state of sweetness. HFCS is composed of either 42% or 55% glucose ( I think there is an even higher percentage version), with the remaining parts being made up of glucose and higher sugars. In terms of composition, HFCS is nearly identical to table sugar (sucrose), which is composed of 50% fructose and 50% glucose - glucose being one of the simplest forms of sugar that serves as a building block for most carbohydrates. Fructose is the naturally occurring sugar found in fruits, some veggies, and honey. In this case HFCS and processed table sugar are pretty much the same apparently in the fructose/glucose ratio. But, does that make them essentially good for you and your body. We say NO. Are they a poison, we say no again.... but if you can, you should try and stay away from the stuff. But, how do you do that when it is seemingly everywhere now, and in just about everything? Well, this is not true. With some research, and with a basic return to food close to it's origin - or real food - you can eradicate much, if not all, of this refined stuff from your diet. In other words, you have to change your lifestyle a bit. Our convenient culture makes this hard we know - but when you think of your own child's future surrounded by the stuff, you might think differently. We here at Nonchalant Mom believe that one day - these refined and chemically based additives will be considered in much the same way as cigarette smoking is considered today in much of the world. Little benefit, and BAD for you! 1. Limit processed foods - or study what is used to process and preserve them. 2. Avoid foods that contain added sugars. 3. Avoid fast food and artificially sweetened soft drinks and juices (look at those labels closely). Even 100% fruit juices can contain high concentrations of sugar. 4. Choose fruit from the source, organically grown if possible. 5. If you choose canned fruit, choose fruit canned in its own natural juices instead of heavy syrups. This is just a start. Really, you should be studying your labels and shopping where you know you can find foods and drink that are now supplied with additives. Many citizens are talking about CHANGE now - it is our want and need as Americans. But, as Obama himself has said, we must all act for change, one step at a time. Thinking about the food and drink your children consume is very important - and more important for the gradual change it can bring to our overall society. How about that idea for SWEET! If you want to find much more information, and in much more detail than here, you can simply start by searching the words High Fructose Corn Syrup. In the coming weeks we will not just bring you this information - we here at Nonchalant Mom will start to introduce to you some of the other products out there that are an alternative to artificial sweeteners. Some you will be familiar with like natural Honey, Maple Syrup, and Organic Sugar. And, others might be new to you, like Barley Syrup, Rice Syrup, Agar, and Amasake. As always, we would like to hear what you think - let us know... And, a big Thank You to our new Nonchalant Mom researcher, Sara D, for helping us compile info for this story! Now that the election has come to a conclusion it is safe to mention, without anticipating to much fall-out, that we were very much for a change in the political climate. Of course, each of us have issues which we are serious about defending, and in my family alone there are opinions ranging from the almost evangelical to the nearly anarchic. I'm much more pragmatic, even if I believe in shaking things up time and again. Basically, I don't get wrapped up in all the emotional stuff surrounding the candidates. 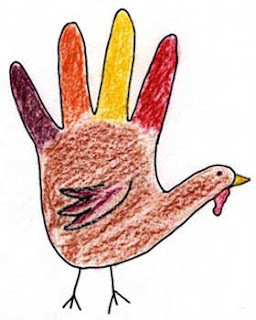 The way I see it is this: congratulations to the winning candidate and much good luck! However, after 2 to 4 years, if I don't see the kind of improvement that was either promised to me in the beginning or if I think the candidate did nothing at all or ended up misleading me.... well, that's the great thing about our political system - out with the old and in with the new. We make a mistake when we start thinking the president is our personal friend: they are there to do a job and we are there to decide who will perhaps do the best job. I have no doubt that both of the main candidates this time around - Senator McCain and Senator (now President Elect) Obama are upstanding characters in fact. Nothing in my intuition said that either one was presenting something that was false - which is something I couldn't quite say about our current and outgoing President. In both gentlemen, I could feel that they would produce a change. Unfortunately, for one of them, the change, when presented in more detail, did not vibe with the kind of change I was seeking. And, in this case, it looks as though the majority of Americans were in agreement with me! In our small state there are/were several choices for President of the United States of America. We had both Dems and Republicans, but also on the list were an Independent, a Libertarian, and a Green Party candidate. We had much to think about, even if the information wasn't always easy to find. Nonetheless, throughout the process, especially over the last couple of weeks, my wife and I tried to engage our kids in the decision-making. We talked to them about which candidate appealed to us and why it was important to find a candidate who would support our own beliefs or ideals. We spoke to them in the simplest terms about what the President and Vice President would do for our country. Mostly, we spoke to them about how important it is to vote in our country - and what makes our country special for giving us that privilege and right. And, over the last few weeks they could see the growing excitement at the prospect of voting for a President, Senator, Congressperson, and local officials. We wanted them to understand that there are people that we vote for who help us keep the country running - who help keep the country safe. Of course, we tried to keep the partisanship limited so that we didn't encounter any unforeseen problems - you know how young kids can be. We wanted them to be aware that many people voted for different things - and each person's opinion mattered - even if we didn't agree with it. My wife did allow for some playful advertising of her favorite candidate though - teaching the kids the simple chant of 'Yes We Can' and allowing them to wear a Lucky Wang designed shirt that only had a picture of Obama's face on it. In fact, we weren't sure how our older son's wearing it might go over at his school. We found out soon enough. Our 6 year old son came home and announced that his teacher had asked the other students if they recognized the man's face on his shirt. He told us that one of the other students in his class raised his hand and said that it was the man who was going to take all our money away!!! How about that - 6 year old activists!!! Yesterday, election day, we allowed our kids to come with us to vote. Our son did not have school since we commandeered it for the election. That alone meant something exciting to him. We told the kids that it was a special day and that there would be many people holding signs and voting - they seemed more interested in why there was a big table of cakes and cookies, etc. As well, our son asked us all about why people had to go into their own private areas. The process may not have been as exciting as attending a friend's birthday party, but we were satisfied that they were at least participating in some capacity - and they did seem genuinely entranced by it all. In fact, our son, having obviously given the issue great thought announced to us on the morning that he was going to vote for Obama. Naturally, when we asked him why he chose Obama he said it was because he knew that if McCain became President that he was going to add 4 minutes onto his school day. 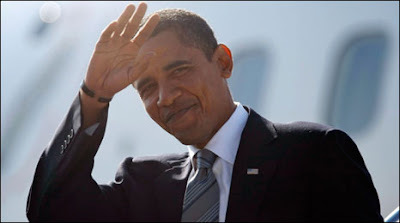 And, if Obama became President he said that he knew that he was going to build a basketball court in the White House. Where did he come up with that information??? There was just no doubt about which candidate would get his vote! I have to tell you, it sounded plausible to me - and in some cases during the election season not to far distant from some of the reasons the adults were deciding on which candidate would get their vote. I'd be curious to hear how you introduced the campaign season or election to your kid(s) - any special anecdotes or embarrassments? Anne Rosenberg has jumped onto the scene all on her own (formerly of kragh rosenberg). She has continued the lively prints that we are all in love with and then there seems to be an added edge to her designing, whatever she's done...I love the result! and wouldn't miss it for the world! Her new collection for Fall/Winter 2008 is now available on nonchalantmom. I finally got a chance to talk to her just a bit and I thought this was a good time to introduce more of Anne Rosenberg to all of you! It seems we have a bit in common,both Anne and I did not study design in school, with a masters degree in religion and art history, Anne took to the road and completed her masters thesis on the Lakota Indians (as which she spent time in South Dakota at the Pine Ridge Indian reservation), Anne stated that, "My education has given me a unique opportunity to learn about different cultures and art in general, which for me is knowledge I now draw from when designing." Most of the time the most talented people that I know in this industry are not the ones that were the best in fashion or design schools but really the ones that struck out on a creative life and kept their eyes wide open and never held their curiosity back one single bit. She also makes a good point that I totally agree with, she likes to stand back from the typical short fashion life cycle, the Rosenberg collection never gets old, and has that Danish quality of lasting, modern and beautiful design. "What really interests me is the long-haul, the things that stays with you and keeps fascinating you, I always try to get close to this special expression in my designs." While saying this she does explain like most of my friends in this business, that she does work most of the time, but when she is not working she is spending most of her time with her architect husband at their summer house in south of Copenhagen, on Zealand - one of the many islands in Denmark (and YES, I will do my best to provide you with photos if she would ever like to share this piece of the world with us). In Denmark at this time of year when the darkness is increasing and you need to adjust to staying inside and keeping warm, Anne wanted to share her tea recipe with us that she said might be Indian or Tibetan, or at least she first tasted it in McLeod Ganj, the excile city of the Tibetan Government in northern India. simply take fresh ginger and grate a nice big piece either directly into the cup or teapot and a good amount of fresh lemon juice, honey and water. yes, I made it right away and it IS a favorite! you will love it. Thank you very much Anne for sharing so much of yourself with us and we love what you are doing so please keep it coming! !